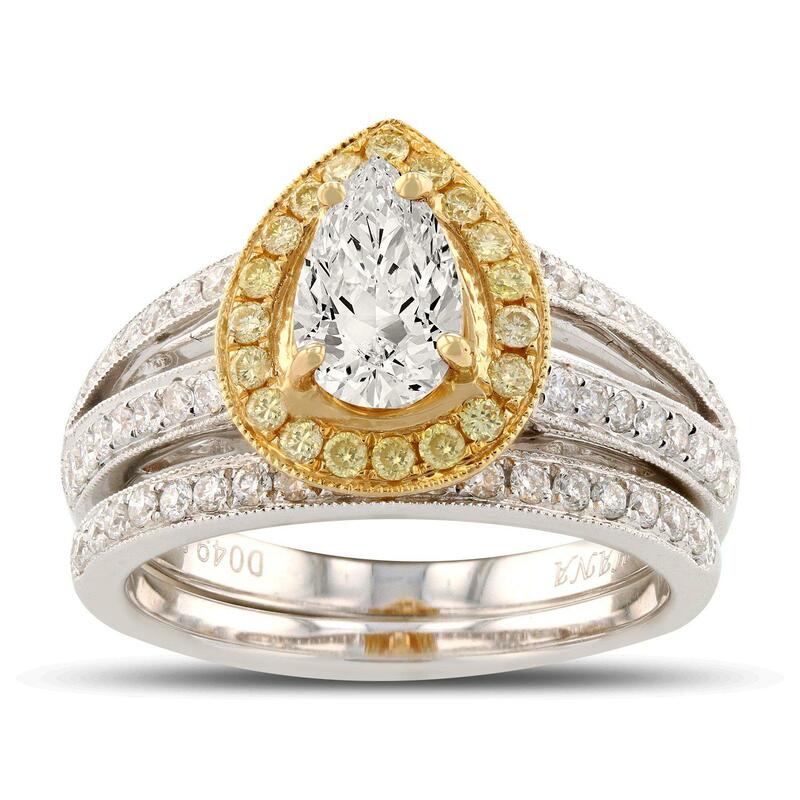 One prong set pear shaped cut diamond, measuring 7.88 x 5.02 x 3.86mm exact weight 1.02ct. Graded loose prior to setting in the EGL Laboratory, Report # US 904766511D. Nineteen prong set round brilliant cut diamonds, measuring 1.50 - 1.40 x 0.87mm (depth est.) approximate total weight of 19 Stones = 0.22ct. Indications of laboratory irradiated enhanced color. Graded in the setting. Fifty prong set round brilliant cut diamonds, measuring 1.40 - 1.40 x 0.84mm (depth est.) approximate total weight of 50 Stones = 0.47ct. Graded in the setting. Total Weight of Diamonds 1.71ct.